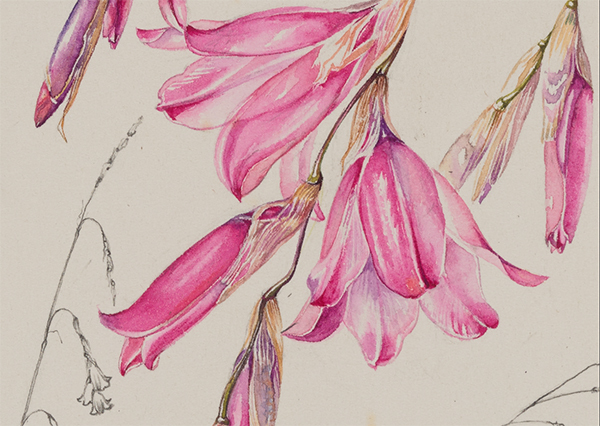 Last year we had the privilege of digitising 184 original artworks by World renowned botanical artist, Dr Auriol Batten. 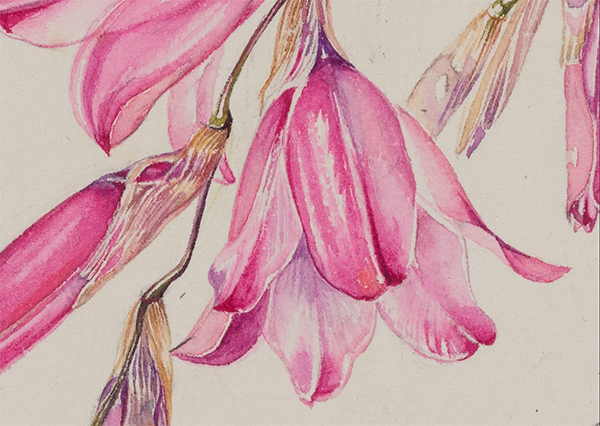 Dr Batten passed away in June 2015 and the Batten family approached us to capture paintings and pencil sketches that they have access to for preservation purposes and to make them accessible. 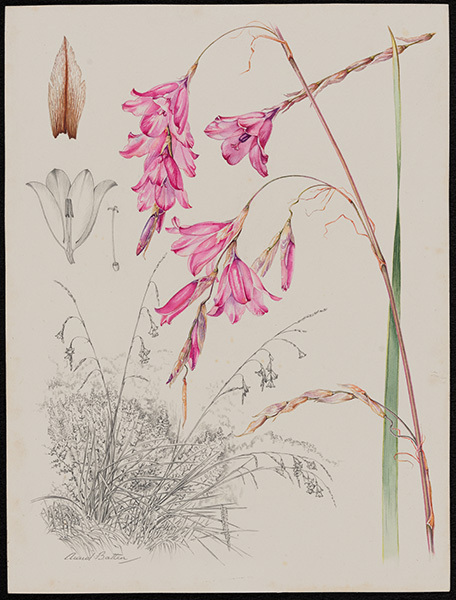 The artworks included some of the dieramas created for her famous book, Flowers of Southern Africa, and some seldom seen early line drawings that were not made public. The Batten family wanted the paintings captured at a standard that accurately reflected the condition of the originals. We were digitising the ANC Archive at the University of Fort Hare at the time, and Dr Batten’s son, Chris Batten, was able to drive up from Port Elizabeth and deliver them to us personally. We digitised the artworks using our Alpa 12 FPS camera with a Rodenstock lens and our Phase One IQ3 100 megapixel digital back. Below is an example of one of the images zoomed in. These are unenhanced files maintaining the colour as per the original. There is discolouration of the physical paper due to age and some fungal spots that can be seen. While to zoom percentages are true, we had to reduce the size of each image to make it fit the format of this blog post (so zoomed in at 100% in Photoshop would be larger than it appears here). Dierama Pendulum Krom River 5th August 1982, near the forest station. 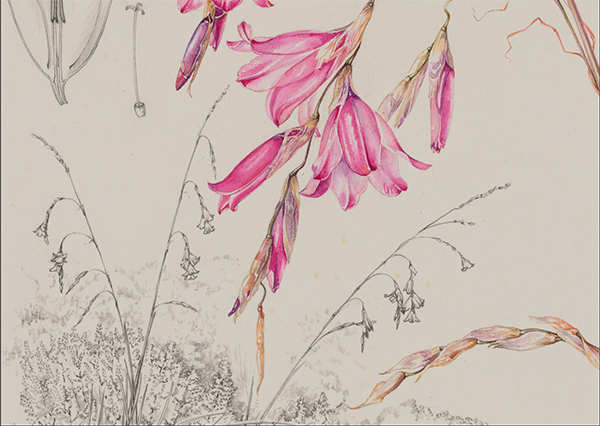 Drawing completed 22nd Jan 1989 on the King Williams Town – Grahamstown Rd, where D. Pendulum forms clumps. Drawing at 12.5% zoom.